Great content should be rewarded with more than just a ‘like’ or a ‘share’. People write such content for a living and they hence need to make money from it. Rather than charging users to read the content that they love, website owners use advertising make the revenue they need. The problem is that not everyone is aware of this fact, or they simply do not consider it, and are hence easily annoyed by the ads being displayed on websites. This has led users to install ad blockers that kill a large majority of the revenue streams that publishers rely on to make money. Such actions could well lead to poorer content online, which is not good for anyone. Some of the confusion comes from the fact that many people believe that an ad on a website only earns revenue when clicked. While that is true in some cases, there are other ads that generate a small amount of money per view. It is those types of ads that can be a great source of income for publishers who have a lot of regular visitors to their site. If those ads are blocked by software, the earnings are minimized, as so is the desire of the publisher to deliver quality content. We cannot and should not ask people to work hard for free. In fairness though, publishers contribute to the problem, especially when the ad comes in the form of sponsored content. You have probably read a ton of great articles about a variety of different subjects, but may not be aware that an advertiser paid a premium to have the content they created be displayed on a website. There is usually a disclaimer letting you know that the content is sponsored, but it does not always make it on there. If users do not know that the content they are reading is an ad of sorts, how do they know they will miss it if they install an ad blocker? There are also situations where websites are filled with ads that have no bearing on what the site is about. These tend to be more of an issue for visitors than those that actually feel like an organic part of the website. The good news for publishers is that some ad blockers are now giving users the option to choose which ads are and are not acceptable to them. This is a scenario that benefits everyone involved, as the site owner gets the earnings, the viewers only see the ads they want, and the advertisers get to have their content viewed by people who are actually interested in it. 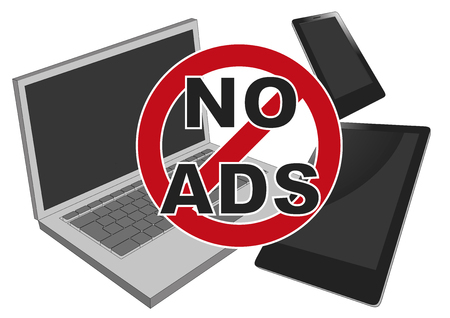 The future of online advertising, and the content that it spawns, are in trouble if the number of ad blocker users continues to rise at the rate it is going right now. It becomes the role of the publishers to be careful about the ads they choose, as well as making sure that ads are labeled in a way that makes them acceptable to both the site visitors and the ad blockers that would otherwise automatically shut them down.